The Rubber Manufacturers Association (RMA) forecasts that passenger, light truck and truck tire demand will rise nearly 2 percent in 2014 to reach 302 million units. 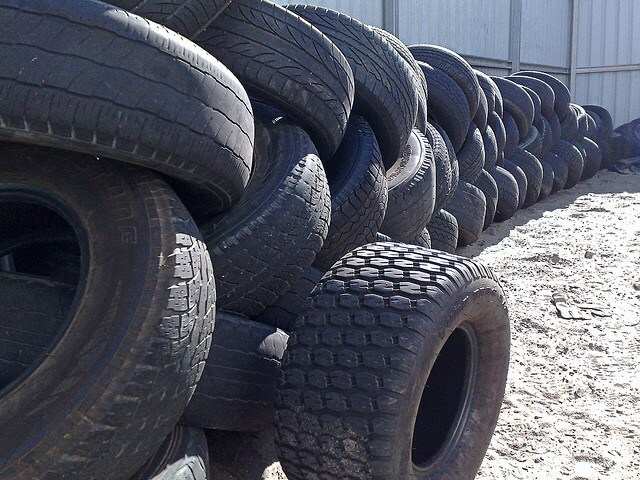 Though no one knows just how many there actually are, there are many times more tires accumulating in dumps in every nation around the world – a festering, growing threat to human and environmental health and safety. Lehigh Technologies is on a mission to “green” the lifecycle of synthetic and rubber tires. Using a proprietary “green chemistry” process, Lehigh replaces petroleum-based materials by recycling discarded tires and turning them into micronized rubber powders (MRPs) that can be used to manufacture a wide range of rubber and plastic products – all manner of vehicle/transportation tires included. The benefits are numerous and manifold, from reducing manufacturers' operating costs to helping conserve tropical forests and ecosystems, reducing greenhouse gas emissions, and helping alleviate air, soil and water pollution associated with waste tire dumps. On Sept. 3, Lehigh announced that it had raised another $8 million in support of its efforts to expand geographically and realize the milestones established in its technology road map. Joining with earlier venture capital investors including Index Ventures, Florida Gulfshore Capital, Kleiner, Perkins, Caulfield & Byers, and Leaf Clean Energy, is Japan's JSR Corp., a $4 billion specialty chemicals company. Lehigh Technologies aims to enhance economic, as well as environmental and social, sustainability in the global market for tires and other synthetic and natural rubber and plastic products. The Tucker, Georgia-based company has set its sights on seeing 1 billion new and retread tires manufactured via its high-tech recycling process on the roads. The International Energy Agency (IEA) has forecast that by 2035 the number of vehicles on the world's roads will more than double and exceed 1.7 billion. Most of that growth will come from China and other large, rapidly industrializing nations. Dependent on a wide variety of situation-specific factors, it's difficult to come up with an average life for tires. As a rough guideline, experts put the number anywhere from 20,000-80,000 miles – roughly from as little as 1.5 to as many as almost eight years' worth of driving for the average American. Lehigh operates the world’s largest MRP production facility, capable of producing 140 million pounds of MRPs per year, according to management. Use of the company's MRPs extends to plastics, asphalt and construction materials. Working with six of the world's ten largest tire manufacturers, more than 250 million discarded tires, and counting, have been manufactured using Lehigh's MRPs. In addition to the world's largest tire manufacturers, its customer base includes leading flooring manufacturers and their counterparts in construction materials, modular flooring and coatings. “Commercial sales of MRP have been growing rapidly- over the past few years alone, we’ve demonstrated annual growth rates of 30 percent. Furthermore, we have made significant inroads into markets outside of the United States. A $4 billion, multinational specialty chemicals company, JSR's business operations and relationships are extensive, particularly across the world's manufacturing hub: the Asia-Pacific region. “Under the concept of E2 initiative, JSR is continuously seeking opportunities to contribute to low carbon society through Materials Innovation,” added Koichi Kawasaki, JSR Corp. executive managing officer. Dubbed E2 for short, JSR's sustainability initiative consists of two inter-related programs: Eco-innovation and Energy Management. Via E2, JSR aims to create value by developing environmentally-friendly products, as well as reduce greenhouse gas emissions across its manufacturing plants. Investing in and partnering with Lehigh will help JSR realize both these aims. Expanding use of Lehigh's MRPs holds out the promise of significantly enhancing environmental sustainability across the tire market value chain by boosting low recycling rates, as well as boosting manufacturers' bottom lines.